A wholely owned subsidiary of PPR group, FNAC is the leading retailer of high tech products, books and music and videos. Like many successful retailers, FNAC envisioned globalization and successfully implemented 241 stores in 7 countries across Europe and Brazil. 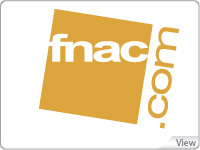 FNAC's international operations make up approximately one third of its overall revenue. FNAC's operating store formats include: retail stores, mail-order services, FNAC.com and digital download platform FNAC music. FNAC's éveil & Jeux subsidiary operates about 40 game and toy stores for children, and sells toys by catalog and online. FNAC's éveil & Jeux subsidiary operates about 40 game and toy stores for children, and sells toys by catalog and online.